Homecoming, book three in my Boys of Fall series, is available now! “Autumn is coming and I always like reading books that help me transition between seasons. If you’re ready for pumpkin spiced things, crunching leaves, and autumnal rhythms, I’d highly recommend this novel.” ~ All About Romance. Read the Desert Isle Keeper review here! Fully Ignited, the third book in my Boston Fire series, is available now! 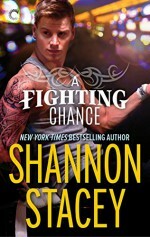 A Fighting Chance is available now! Click the link for more information, additional buy links, and to read the first chapter! Controlled Burn, the second book in my Boston Fire series, is available now! For more information, including additional purchase links and the first chapter, click here. Controlled Burn, the second book in my Boston Fire series, releases on November 24th. You can read the first chapter and find preorder links here!